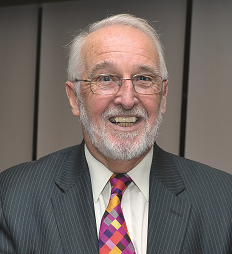 It is with great sadness that we announce that Dr Nick Bowen, President of the Chartered Institute of Linguists (CIOL), passed away on Sunday 17 September. Dr Bowen had been in poor health for much of the year, and his condition deteriorated rapidly over the last week. Nick was involved for over 30 years with CIOL and IoLET and was made an Honorary Fellow in 1991. He was variously a Member of Council, Chair of Council (1992–96), Member and Chair of the Examinations (Review) Board, and Trustee-Director, and Vice-Chair of the IoL Educational Trust. He was elected President of CIOL in 2012, a role he held until his death. Nick retired in August 2012 as Principal Lecturer in International Business, Regent’s College (now Regent’s University London), and Director, BAIB Programme, European Business School London after 32 years of continuous employment. Educated at Lancing College, West Sussex, Nick graduated from the London School of Economics with a BSc Econ. He continued his studies in the US, and was awarded an MA in International Relations from Lehigh University, Pennsylvania, and also studied at Kent State University, Ohio, and Magdalene College Cambridge. In 1976 he completed his PhD on economic and political relations between the UK, USA and Argentina in the 1930s–40s. With co-author Alan Sitkin, he wrote a university textbook – International Business: Challenges and Choice, and recently completed an official history of Regent’s University London. Nick’s wife Joan writes: "Nick was very proud of the work that the Institute does in promoting internationalism and cooperation through languages. The Institute stands for everything that Nick believed in and promoted in his life, academically, socially, and personally."